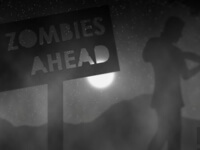 Description: Fight Back against the Zombie Apocalypse! Shoot the incoming zombies.. The Last Zombie 3 is a Zombie Games. Instructions: WASD to move, mouse to aim and shoot. 1-4 to switch weapons..